(Newser) – A Saturday walk turned tragic in Hawthorne, Calif., when a 15-year-old girl and a 15-month-old boy in a stroller were plowed into by an SUV, PIX11 reports. 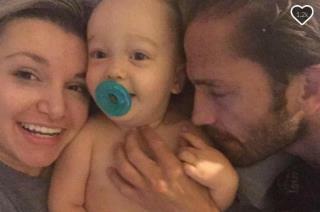 Toddler Liam Mikael Kowal, the son of MMA fighter Marcus Kowal and his partner, Mishel Eder, died Sunday from his injuries, and a 72-year-old woman was arrested on suspicion of hit-and-run and drunk driving, Hawthorne police tell the Mercury News. "About an hour ago, our baby was declared brain dead," Kowal posted on Facebook Sunday night. "He tried to fight so hard." The accident took place around 4:15pm Saturday, when the SUV smashed into the toddler and his teen caretaker in a crosswalk. The vehicle fled the scene, but witnesses chased after it and surrounded it about a block away, keeping it and the driver there until cops arrived. This is a very sad story. As horrible as I feel for the parents of the toddler that died, I am even more concerned for the mental well being of the teen who was his caregiver. She did nothing wrong, yet a baby died on her watch. It will be hard for her to get over the feelings of guilt and remorse that she could not do anything to help her nephew. There is no happy outcome here. Nothing to see here folks. Just another classic case of white on white crime. Been happening since 1492 and no end in sight. Hope justice is served on this one.